The Royal Pita Maha is a haven for personal wellness where guests can indulge at our dedicated spa. 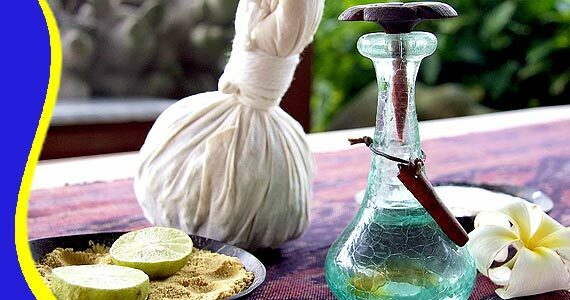 Treatment your body with Pita Maha Spa Ubud. There are many things you can do while you are enjoying your stay at Pita Maha Resort and Spa, and these activities does not require expensive or complicated additional equipment . The top on the list is walking around the Campuhan Ridge, thanks to the strategic location of Pita Maha Resort and Spa that will enables you to enjoy the beauty of Campuhan Ridge by walking. But Campuhan Ridge is not the only thing you can enjoy by walking in Ubud, you can walk a little more and explore one of the many routes on the outskirts of Ubud who knows you will have the chance to see religious ceremony in any one of the villages that surround Ubud, the view of lush rice fields is something that you will surely find along the way. 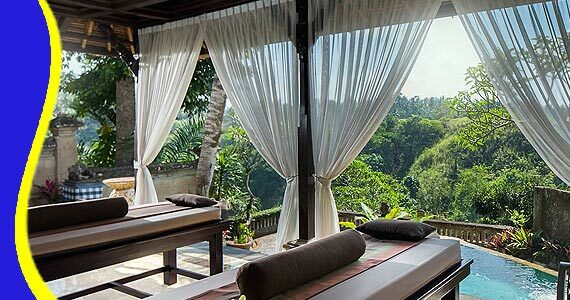 Set into the side of the Tjampuhan valley in Bali's cultural heartland of Ubud, the Pita Maha Resort & Spa is a landscaped jewel overlooking the beautiful River Oos. 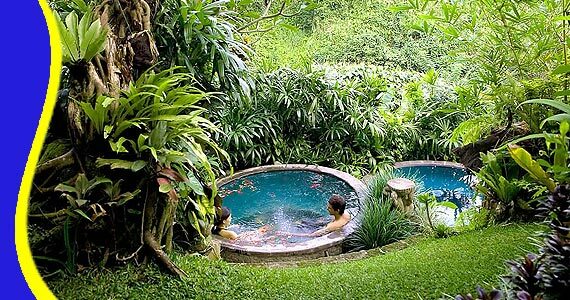 Pita Maha Spa is a secret sanctuary devoted to your relaxation, tranquility and rejuvenation of body and spirit while your holiday in Ubud Bali. It boasts a full menu of treatments and therapies and many of the individual treatment villas include private outdoor showers that overlook the tranquil waters. It is so beautiful and peaceful; you may feel as if you stepped into a mythical garden of delight. Pita Maha Spa is located in the heart of Pita Maha Resort and Spa. offers a range of treatments using ancient Balinese healing practices to improve health, beauty and vitalist. 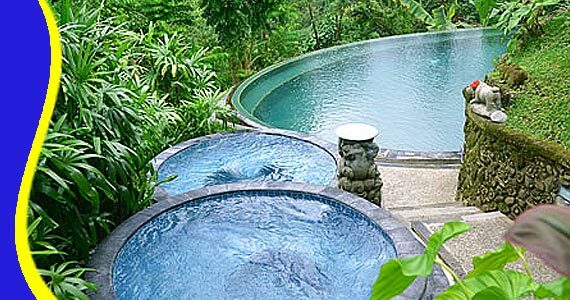 Pita Maha Spa also has full facilities for healthcare, has outdoor treatment pavilions, Sauna, hot or cold water pool and a Balinese spring water plunge pool. Enjoy all the traditional Balinese spa packages at the Pita Maha Spa is able to provide comfort and freshness to your body. - Spa Indulgence Package, Share Destiny Package, Classic Herbal Pampering, Inner Beauty Ritual, Hot Stone Ritual, Chocolate Luxury, Sensory Indulgence, Pure Bliss, Just For Men, Ultimate Indulgence, Balancing Balinese Massage, Refreshing Acupressure Massage, Ancient Indian Head Massage, Radiant Pita Maha Facial, Radiant Pita Maha Facial, Revitalizing Herbal Lulur, Invigorating Balinese Boreh, Coffee Sensation, Green Tea Experience, Fabulous Feet, Essential Body Masque, Herbal Compress Ritual. Call & Text Messaging (Chat, Google+, Line, Whatsapp or SMS) our customer services team on the number above, to speak to one of our Pita Maha Resort Spa Tripadvisor who will help you with all of your holiday needs. For further information Pita Maha Spa Cheapest Price, Pita Maha Spa Ubud Price, Pita Maha Spa Product Details, Pita Maha Spa Bali Package Voucher, Promo Bali Pita Maha Spa, Pita Maha Spa Bali Discount, Pita Maha Spa Ubud Rate, Pita Maha Spa Ubud Price Promo, Pita maha Spa Bali Rate deals, Pita Maha Spa Prices, Cheap Bali Pita Maha Spa, Cheap Pita Maha Spa Bali Prices, Bali Spa Discount. Get a Bali Transport from your stay (Contact us for Cheap Bali Transport). 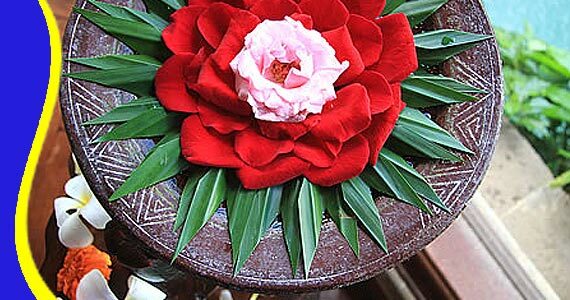 Spa Pita Maha Massage also can arrange a Free Transportation including into your Trip Package. Spa Bali Pita Maha can be combined and implemented in conjunction with other activities Trip or Tour in the same direction. “Perfect Spa (Hanny - UK)"